As many as eight teams took a step forward towards the main round of the U-18 Youth League after their respective zonal matches, on Thursday, December 13. Kolkata giants Mohun Bagan, ISL side FC Pune City, Reliance Foundation Youth Champs and Sudeva FC qualified for the final round of the U-18 Youth League, after gaining the desirable results, while Jamshedpur FC, Minerva Punjab FC, FC Mangalore, and Raman Vijayan Soccer School took a step closer to the same, making it to the playoffs. Mohun Bagan finished top of the Kolkata Zone, while Sudeva FC finished second in the Delhi Zone, one spot under Delhi Dynamos. Meanwhile, in the Maharashtra Zone, both FC Pune City and Reliance Foundation Youth Champs finished in the top-two positions, in order to book their spots in the final round of the U-18 Youth League. Amongst the teams that have to take part in the playoffs, Minerva Punjab FC finished top of the four-team zone from Punjab, FC Mangalore finished second behind Bengaluru FC in the Karnataka-Andhra Zone, while Raman Vijayan Soccer School finished second behind Chennaiyin FC to pip Chennai City FC by virtue of a better head-to-head record. However, the most interesting finish of the day came from the Jharkhand-Odisha zone, where Jamshedpur FC and Football Association of Odisha Academy faced off against each other on the final matchday, with the latter being one point behind, and both the teams being firmly in the race to land a spot in the playoffs. “We had a difficult group, but our boys did really well to qualify from here. 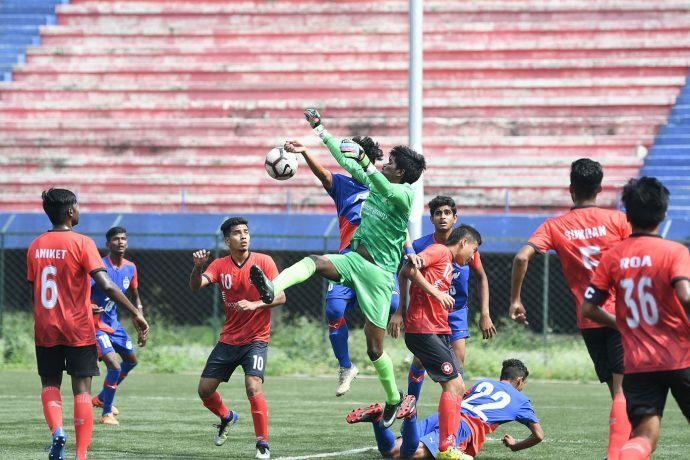 We trained for the whole year, and it is this hard work that helped us qualify for the playoffs at the end when we had a must-win game against the Football Association of Odisha,” said Jamshedpur FC U-18 coach Indranil Chakraborty.